Customs Tariff Code is an indicator for determining, type of goods in all over the world. Iran, like many other countries, uses a harmonized system code (HS code) for determining goods tariff number. Of course, recognition of complex goods in this system; uses previous records and experiences in the declaration of similar goods. Detecting these records and experiences directly affects the recognition of goods classification in HS codes. In the Iranian customs , the tariff administration office or the import administration office is responsible for determining and confirming the declared tariff code. If the declarer enters the wrong code incorrectly, it will have serious consequences for him, including identifying the goods as a customs smuggling cargo and it will be detained by the authorities and based on Iran customs regulations the punishment for the owner of the good may be imprisonment or at least material fines. Of course, the correct recognition of Iran customs tariff code is ability and Kara as an Iranian Customs Clearance agency is an expert in this field and uses its professional Iranian customs consultant to provide you the right Iranian customs tariff number. 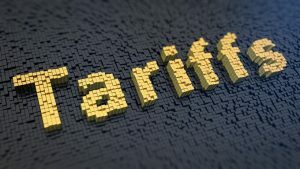 The tariff code in all countries has six digits and common categories, which in some countries according to local desired categories; two, four or more digits will added to it. And of course, it has a direct effect on determining the salary and Iran import duties for international companies and traders and completely modifies import costs. In some cases, minor mistakes in determining the correct last two digits of the Iranian customs tariff code or not using correctly the records and experiences for the first six digits of the Iran tariff code could lead to huge costs that make trading impossible and unprofitable. Another important consideration is the goods value recognition by using the Iran customs tariff code. 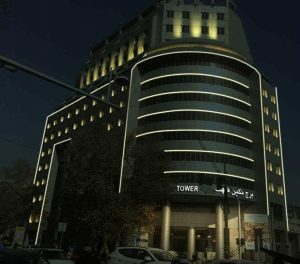 In Iran, a tariff code system has been designated with an abbreviated name, which is TSC, that has four digits and divides the goods for each eight-digit tariff code into different categories including; country of origin, year of manufacture, product brand and other qualities for accurate determination of goods value and it has a direct impact on Iranian customs duties. 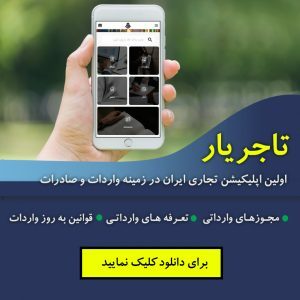 In the absence of a similar product there is a possibility to register the value of a good with four new digits in the TSC system, and this will be confirmed by the Iranian customs administration. In general, the lack of complete and accurate knowledge about Iranian customs tariff code will cause incalculable and irrecoverable costs. Kara Company is an Iranian Customs consultant and provides correct identification of the eight-digit and the six-digit Iran tariff code or registering of new value for specific goods for traders and manufacturing companies around the world. Kara as an Iranian Customs Clearance Company tries to provide information that is vital for international companies that intend to trade with Iran. For any international trader having information about Iranian Customs Duties is a must. Iranian market is very attractive for foreign investors and it has a very good capacity to accept different goods. But calculating the import custom duty in Iran is always a challenge. Calculating Iran import duty is a professional work and needs lots of information because Iran customs regulations are changing every year. Import duty structure in Iran is based on Iran customs rules and consists of different contexts. Based on Iran customs tariff every import and export good has a tariff code. Iran customs tariff revise every year and publish by the Iran Trade Development Organization.